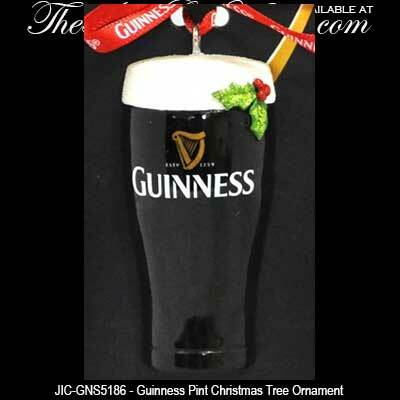 This half round Guinness pint ornament features a creamy head along with a black body and measures 1 1/4" wide x 2 3/8" tall x 5/8" thick. 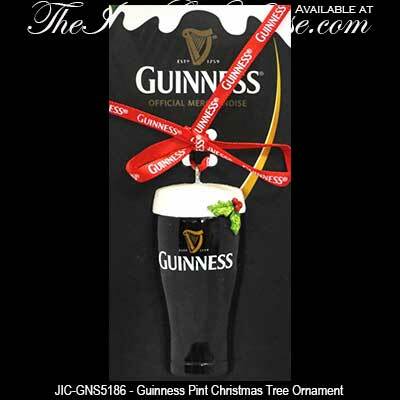 The Guinness Christmas ornament is made of resin and is accented with glittered holly and berries. This Irish Christmas ornament, from The Irish Gift House, is ready to hang with the included red Guinness branded ribbon; it is received on a header card.